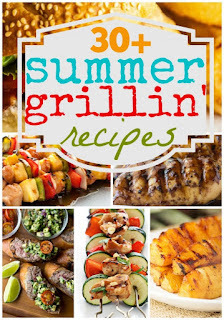 With summer in full swing, there are soooo many wonderful grill recipes out there. Alyssa of The Recipe Critic has rounded up 30+ Summer Grilling Recipes. Each one looks absolutely delicious and is sure to please one or a crowd. Click on the photo above, invite a few friends over, heat up the grill and get a party started!! !